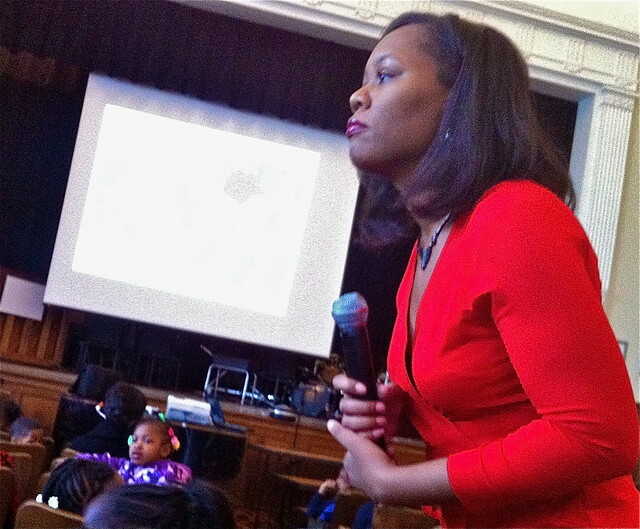 Kelly Starling Lyons, an author of African American theme pictured books, shared her stories with students at the J.S Jenks Middle School in Philadelphia in celebration of Black History month in February. One Million Men and Me is based on Lyons attending the Million Man March in Washington, DC in 1995 and seeing a little girl there with her father. In Lyons’ eyes the little girl looked like a princess surrounded by a sea of princes and kings. Lyons has met several men who were moved by their participation at the event to become leaders in the community. Watch Million Men interview here. Ellen’s Broom is about the legalization, during Reconstruction, of the marriages of former slaves. Marriages were not recognized and slave husbands and wives could be sold apart. To show their commitment to one another a slave couple would jump over a broom. In Lyons story, Ellen questions why her parents want to keep the custom. Jumping the broom is a link to the past, and, like other contemporary couples, part of Lyons and her husband made it part of their own wedding. Watch Broom video here. 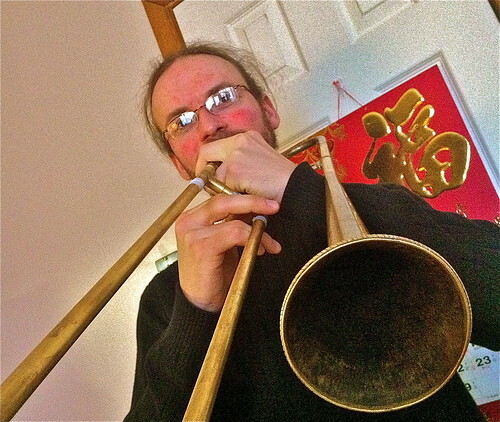 Nate Wood, a graduate of the Oberlin Conservatory of Music in trombone, makes his living freelancing with various baroque music groups, mostly in Europe. He also has two of his own period instrument ensembles, the Habsburger Camerata specializing in 17th century music and Mandragora, a 16th century Renaissance wind band. And he builds some of his own instruments, true to historical design. Here he plays snippets on his hand built sackbut and slide trumpet. Columbus, Ohio.